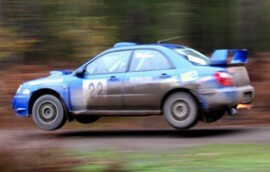 We’re specialists in Motorsport, Race and Rally. We have a long list of Motorsport services available from preparing a full race or rally car from scratch to providing an experienced on event-support/service crew for your race or rally weekend. Impreza, Legacy and Forester specialist services such as Engine rebuilds, Gearbox rebuilds, Clutches, Cambelts, Servicing, Bodywork, Performance Upgrades, Mapping, 4 wheel alignment/corner weights, 4WD Dyno. 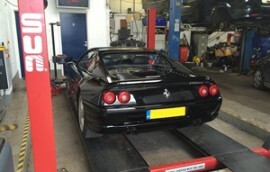 Car and commercial vehicle servicing specialists based in Newbury, Berkshire. 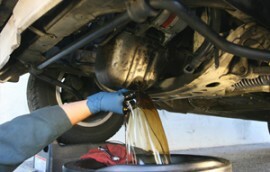 We can service virtually any make or model of vehicle – cars, small vans, light and heavy commercial vehicles. Our state electronic diagnostic equipment is capable of diagnosing faults accurately in almost all makes and models of vehicles. Book online or over the phone! Open Sundays! View our latest offers and save money today! Ignition Motorsport, as heard on The Breeze FM. Our approach to successful motoring, be it road car management or competition car performance, is refreshing, motivating, dynamic, and built on a wealth of knowledge and experience. The key to all good motoring is reliability. Check our availability and book your MOT Test Online. We’ll even send you a free text message reminder so you don’t forget your important day! We take vehicle servicing and repairs very seriously, using only quality branded parts, lubricants and equipment to ensure your vehicle gets the very best care and attention. Race & Rally car preparation, accident repair, roll cage installation and fabrication, modifications & a full range of on-event services & support for your weekend. Colin is a great bloke. I trust him with my rally car so I trust him with my life!